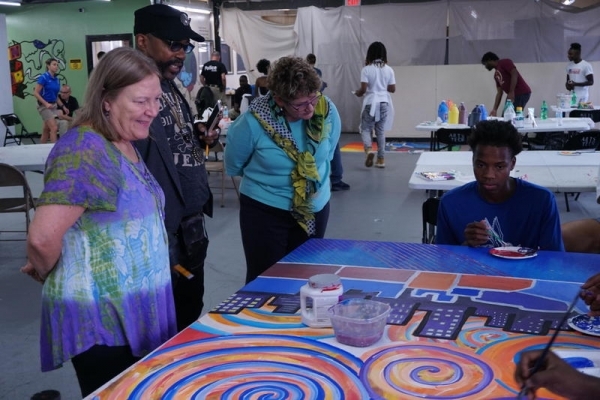 Lyric Opera of Kansas City today announced a partnership with Teens in Transition to create a new community project culminating in the creation of a street mural reflecting the themes of the 61st season-opening production of West Side Story. The artwork created here will be included in a growing, "in-progress" traveling exhibition of West Side Story-themed murals from Houston Grand Opera and The Glimmerglass Festival; the exhibition will continue to grow as it travels with this production of West Side Story to future engagements at Atlanta Opera and Lyric Opera of Chicago. Working with Lyric Opera's Education department, Teens in Transition will engage local teens who will work in teams to get acquainted with West Side Story and explore issues raised in the work, such as gang violence and immigration, then collaboratively create murals that will be displayed with other street art at the Lyric Opera performances of West Side Story, September 22-30 at the Kauffman Center. Additionally, the works will travel to Atlanta and Chicago, where those opera companies will also work with street artists to add to the displays. Lyric Opera General Director and CEO Deborah Sandler said, "This project originated with Houston Grand Opera. Perryn Leech, HGO's Managing Director, contacted us with an idea from West Side Story director Francesca Zambello: what if we found street artists or muralists who had never seen or heard of West Side Story before, and engage them in a meaningful art project that will also enjoy widespread exposure? We loved this idea. These kids haven't seen West Side Story; they've been living it. Who better to tell the story?" Kansas City Mayor "Sly" James stated, "This is a wonderful opportunity for this year's program participants to collaborate with the world of professional theater and music, courtesy of our renowned Lyric Opera, and to learn how art, in its many forms, is a far more constructive, powerful way to express themselves than any form of violence or anger." 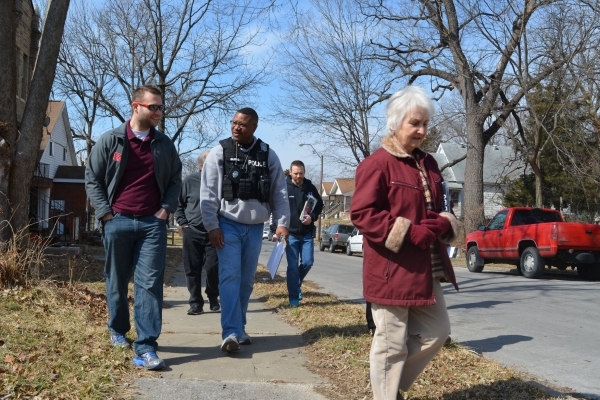 There will be six teams, each with a police officer, a teen artist who works with Michael Toombs, and the TNT members. The teens view the West Side Story film and discuss it, listen to the soundtrack, and view images created by the set and costume designers of this brand new staged production. Painting began June 25 and continues through July. These 4'x8' panels will be incorporated into one large display. They will be unveiled at a final celebration of Teens in Transition in early August. The panels will then be displayed at the Lyric Opera of Kansas City administration office atrium as part of the First Friday event on September 7. On September 20, the artists will also attend the final dress rehearsal of the Lyric's production of West Side Story, when their panels will join the 8'x8' murals painted by artists with the same guidelines, which were chosen to represent the productions from Houston Grand Opera and Glimmerglass Festival. They will be part of a lobby display in the Kauffman Center's Brandmeyer Great Hall during the Lyric Opera's run of West Side Story, Sept. 22-30, 2018. Four of the murals will then travel with the production to join work from other artists chosen by other companies presenting this production of West Side Story. These include Atlanta Opera and Lyric Opera of Chicago. Unless otherwise requested for return, the murals will remain with the production, ready for other possible exhibitions. The remaining two panels will be part of an Open Spaces exhibit of murals representing ten community centers in Kansas City. 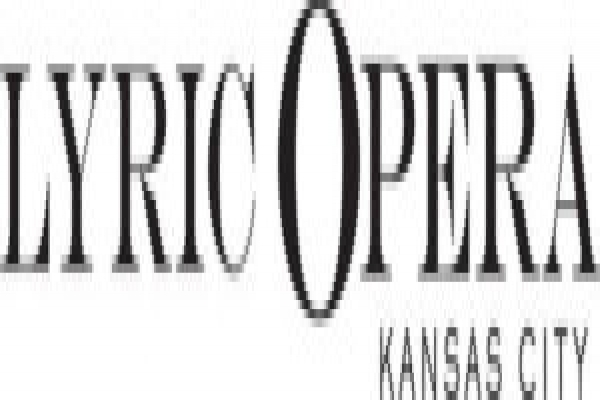 Visit www.kcopera.org for more information about Lyric Opera of Kansas City 2018-2019 season and www.kauffmancenter.org for a downloadable media kit about the Kauffman Center.